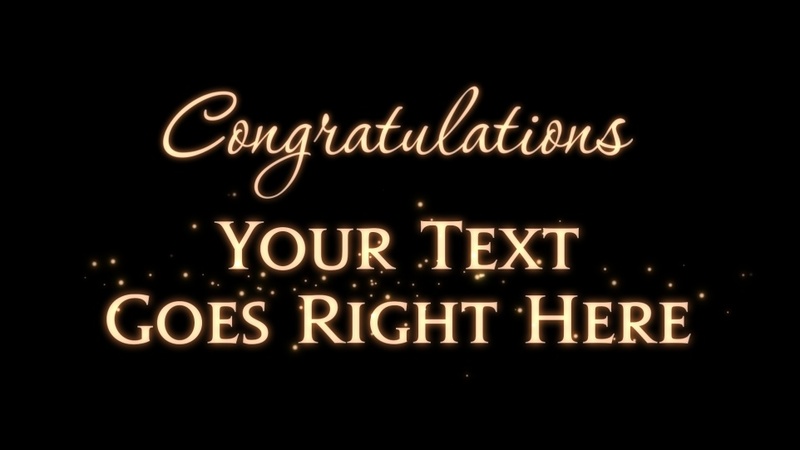 The word 'Congratulations' is drawn onto the screen, and then your text is revealed underneath. This design is intended to be customised with one or two people's names. Particles are then emitted from behind the names. This animation has been designed to work as a 'gobo' - it can be neatly projected onto walls or floors as the design doesn't extend beyond the edge of the screen. Perfect for weddings and glamorous birthday parties such as Sweet Sixteens. The style and colours of this design match our Ornate Motif Gobo design.